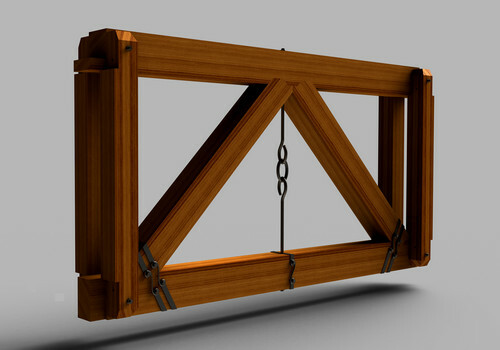 Three Elements Timberworks, Inc. from Colorado isn't your average SolidWorks customer. They don't build motorcycles or medical devices or any kind of machinery. Rather, they design and assemble of hand-cut, custom timber frames for interior and exterior residential and commercial projects throughout the Rocky Mountain region. Their designs are both visually striking and structurally integral to the homes where you find them. In fact, I encourage you to visit the gallery page on their website so you can see some of the beautiful things they're doing with wood and metal. 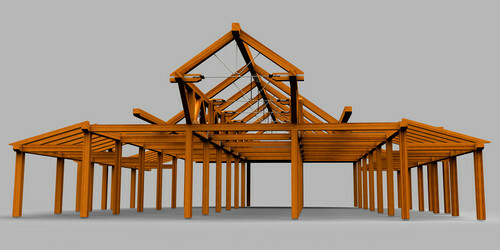 Before moving to SolidWorks, Three Elements used 2D design tools to support its design effort. The firm decided to transition to 3D technology to automate its design and manufacturing processes and boost its capacity to take on challenging projects. They tell us that since implementing SolidWorks, they have shortened design cycles by 20% to 30%, cut development costs by 50%, and reduced scrap and rework. 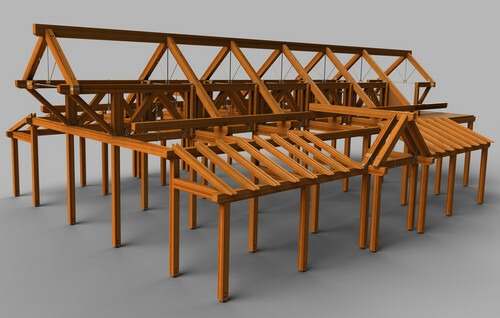 Visit our complete case study to learn more about how Three Elements Timberworks is getting creative with SolidWorks. Here are some more images to get you interested.